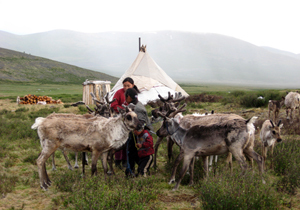 Short sound-photo report of Mongolia from 2008 is on Yannick Dauby's Karelne website. Yannick Dauby is a French sound anthropologist-artist, who currently lives in Taiwan. The reports of his reserch in Taiwan at the website is quite amazing. Check it out! >> More reports are at Carole's blog Heidi in endless steppes land.